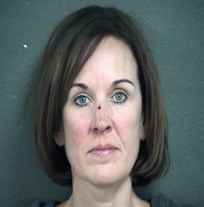 KANSAS CITY, Kan. (AP) — The Wyandotte County District Attorney’s Office says it will not file charges against a member of the Kansas Board of Regents who was arrested in a domestic battery case. A spokesman for District Attorney Mark Dupree says an investigation into allegations against Ann Brandau-Murguia resulted in the decision not to charge her. Brandau-Murguia is also a member of the Unified Government in Wyandotte County and the University of Missouri-Kansas City Board of Trustees. She was arrested Feb. 16 on suspicion of domestic battery. She said at the time that the dispute happened after a confrontation between her and a long-time friend resulted in an argument and physical contact. Her attorneys, Robin Fowler and Tricia Bath, said Monday Brandau-Murguia would not comment further on the issue.